Memorial for Katherine "Kay" A. Bruss Born in Youngstown, Ohio on Jun. 21, 1940 Departed on Mar. 23, 2010 and resided in North Jackson, OH. Visitation: Monday, Mar. 29, 2010 Funeral Service: Tuesday, Mar. 30, 2010 Cemetery: Green Haven Memorial Gardens Kay Bruss Katherine “Kay” A. Bruss, of North Jackson, passed away with her family by her side on Tuesday, March 23, 2010 at 8:43 PM in her winter home in Lillian, Alabama, after fighting a courageous battle with cancer. She was 69 years old. Kay was born on June 21, 1940 in Youngstown, Ohio the only child of the late George and Jeannette (Morrell) Serich and graduated in 1958 from Jackson Milton High School. Kay was a homemaker and a member of the First Federated Church of North Jackson. She was also a member of the Western Mahoning County Kiwanis Club, the ladies auxiliary of the Craig Beach Fire Department and the Milton Township Fire Department. She was thoroughly involved with the Jackson Milton Band Boosters and the Jackson Milton Athletic Boosters. Kay was an avid reader, many days she would sit out in the sun and enjoy a good book. She enjoyed flowers, gardening and cooking. 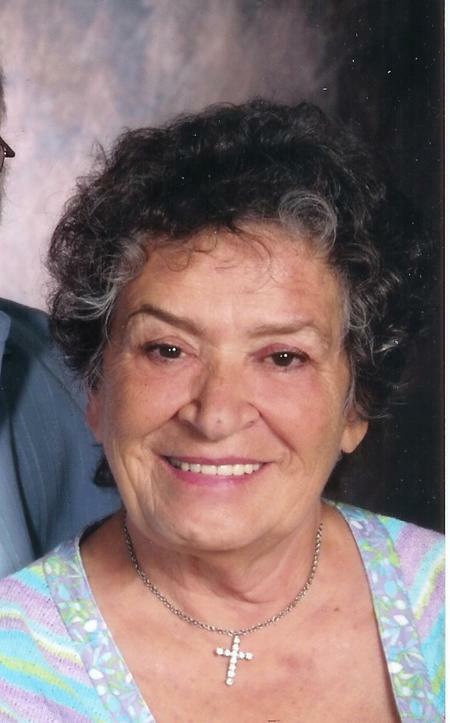 She enjoyed taking care of horses with her granddaughter and enjoyed being outdoors and helping people. A loving wife, mother, grandmother and friend, Kay will be deeply missed by her husband and light of her life Edward M. Bruss, whom she married nearly 52 years ago on August 23, 1958; three children Cindy (Dennis) Sinn of Lillian, Alabama, George A. (Kathie) Bruss of Lafayette, Louisiana, and Michael (Cheryl) Bruss of North Jackson; seven grandchildren and seven great grandchildren. Calling hours will take place on Monday, March 29, 2010 from 5 until 8 PM in the Lane Funeral Home Austintown Chapel, 5797 Mahoning Ave., Austintown, Ohio, 44515. A Funeral Service with Rev. Richard Fruit, will take place on Tuesday, March 30, 2010 at 11AM in the funeral home. The family suggests that memorial contributions take the form of donations in Kay’s name to the Hospice House, 9803 Sharrott Road, Poland, Ohio, 44514 or to the American Cancer Society, 525 N Broad St, Canfield, Ohio, 4406-9274. Please share your memories of Katherine.